The biggest difference between going to New York with my girlfriends and going to New York with my boyfriend, all comes down to FOOD. When it comes to what and where to eat, my boyfriend and I are on the exact same page…mom-and-pop place over chain restaurants, fine food over fast food, and filling food over low-cal “chick food.” However, as I unfortunately learned this weekend, my friends are slightly more optimistic about the quality of chain restaurants than I am—I avoid them like the plaque—and they literally dragged me into Uno’s Chicago Bar & Grill after the World Cup Finals (VIVA ESPANA!! ), while I made every last ditch attempt to avoid the greasy booths and smelly plastic cups of the chain restaurant. It came down to sheer strength in numbers…three against one and thus I walked (still waving my Spanish flag) into the meal from hell. First off, when we sit down and open the menu we notice that every dish has the calorie count posted next to it. 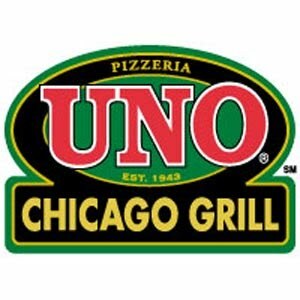 I went from not wanting to eat at Unos, to not wanting to eat EVER!! Is there no bigger food turn off?!? I mean I know that restaurants have to post their nutrition information somewhere, but normally they make it so small and hard to find that it never really stops us from shoving down the Big Mac or Chipotle burrito. But here it was in right in my face, and since I wasn’t drunk (I was actually wearing more beer than I could afford to consume that day, as pitchers of beer at the bar were $18 each) I couldn’t ignore the four-digit number next to the fully loaded nachos. Instead, I opted for the healthier option (and by healthy I mean practically the only food option under 1,000 calories), which was the Chili. I’m not even going to bother telling you what everyone else ordered because all of it was horrible and served cold. They actually brought my friend’s French Onion Soupwith an un-melted slice of deli cheese on top. She said to the waiter, “isn’t this supposed to be hot and bubbly?” My chili was served below room temperature—it was actually almost chilled…odd. The food was so bad that my friend, Ariana, leaned over to the table with the only hot food in the place (they had four pizza pies) and asked for a slice. Again, I remind you we were not drunk. They made fun of us for not ordering pizza at a pizza place and then gave her a slice of piping hot pizza, which she divided among the four of us at the table. The pizza was actually not half bad, but I think we just automatically thought it was good because it was hot. Moral of the story; DON’T EAT AT UNOS!! It is gross.